The sixth day of ’14 Days of Fortnite’ is now live, which features a Christmas-themed challenge! ‘Search waterside goose nests’ pays homage to the Christmas carol ‘Twelve Days of Christmas,’ which includes the lyric ‘6 geese-a-laying’ for the sixth day of the song. As the challenge suggests, the nests are able to be found near bodies of water around the map in bountiful quantities. Although you only need to search a total of six nests, there are plenty to choose from and can be located in almost all regions on the map. Interacting with the nest will allow players to collect them. While it may be difficult, it is possible to search most, if not all, in one match. A full map of the nests can be viewed below, courtesy of gna.fortnite. Like all other challenges, players must either die or secure the Victory Royale to complete the task. Leaving the match early will not allow the progress to be counted. 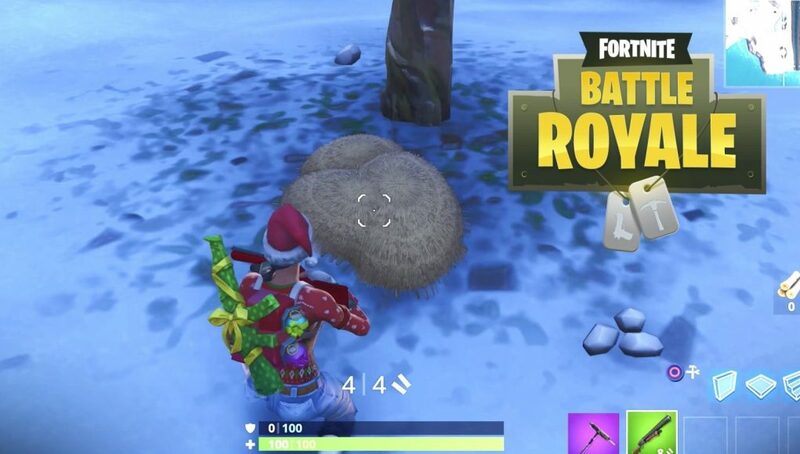 Once six nests are found, you will unlock the ‘Crackshot Special’ loading screen which can be viewed below. Only eight challenges remain for ’14 Days of Fortnite,’ however, it should be noted that you can complete challenges from previous days. We will continue to provide updates on 14 Days of Fortnite as the event continues.